Dream It is chock full of activities, games, and brainstorming questions to help kids discover their passions, identify their strengths and values, create brand-new, unique-to-them dreams...and ultimately open the door to a life full of possibilities This playbook is filled with open-ended brainstorming activities to designed to help kids identify their goals and dreams, whatever they are Dream It is an effective, evidence-based tool for teaching social-emotional skills, increasing optimistic thinking, and nurturing imagination. For even more games, news, and other resources to turn dreams into reality using the Dream it Map it Play it formula visit www.dreamaplay.com. Students who completed the Playbook increased in a measure of optimistic thinking by 22% in the first semester and 17% in the second semester. After completing the Playbook, 100% of students reported that they were thinking more about their goals and future dreams. Nearly 90% of children reported looking forward to their weekly Playbook session. There were no differences in the positive influence of the Playbook by gender or grade. 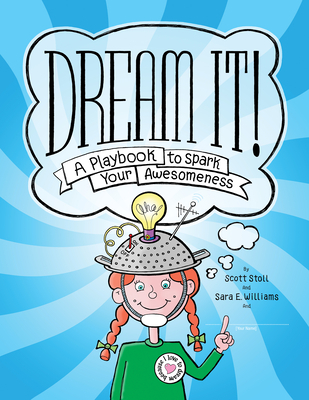 The study concluded that Dream It is an effective, evidenced-based tool for teaching social-emotional skills and increasing optimistic thinking that is enjoyed by all students.